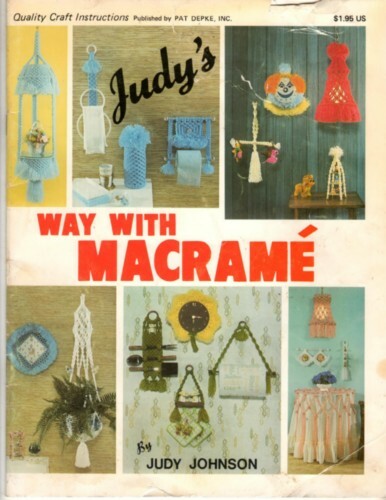 Judy's Way with Macrame macrame craft booklet. Judy Johnson. This vintage booklet appears to be in like-new to very good used condition. Some creasing of cover and two small tears to cover. Folding of corners. Contents page has small tear at top that has been taped. 36 pages.